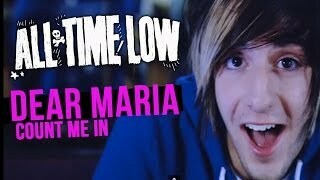 All Time Low's hit song "Dear Maria, Count Me In" off of the 2007 Hopeless Records album "So Wrong, It's Right"
This is "All Time Low - Dear Maria Count Me In (Official Music Video)" by First & Last Name on Vimeo, the home for high quality videos and the people who love them. All Time Low's hit song ... Saritha is a South Indian actress. She has acted in more than 141 feature films, and been cast in the television serial Selvi (2005).